that can read HDR data at the same time as giving you a live video preview. This is the new standard in analyzers, and paired with the SIX-G Generator, it becomes a full calibration and testing system. 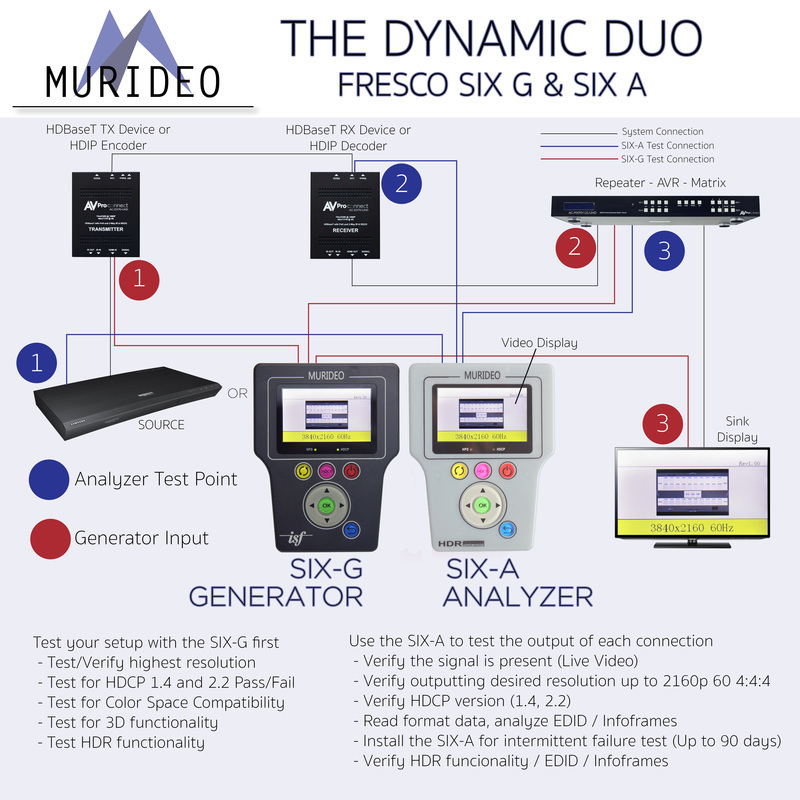 After over a year of development the Murideo engineering team has delivered an extremely useful and cost effective field test tool for systems integrators - The Murideo SIX-A. In today's world of mixed systems and multiple flavors of SD, HD and UHD this tool solves problems - we use the SIX-A in our shop for testing what the manufacturer says a device will do vs. what it will actually do, we use the SIX-A for testing basic and complex switching solutions for maximum capability and performance (including complete high bandwidth HDMI cable testing, HDBaseT and HDIP link testing up to 18 GBPS (that means 8K SUHD, all HDR flavors, plus legacy sources like 480i/p). Plus, we can even use the SIX-A to monitor a pesky system with intermittent issues and capture the data required to fix the system. Consultants will love the SIX-A as a tool for system commissioning and validation - free PC Software available here, for advanced analysis and reporting. 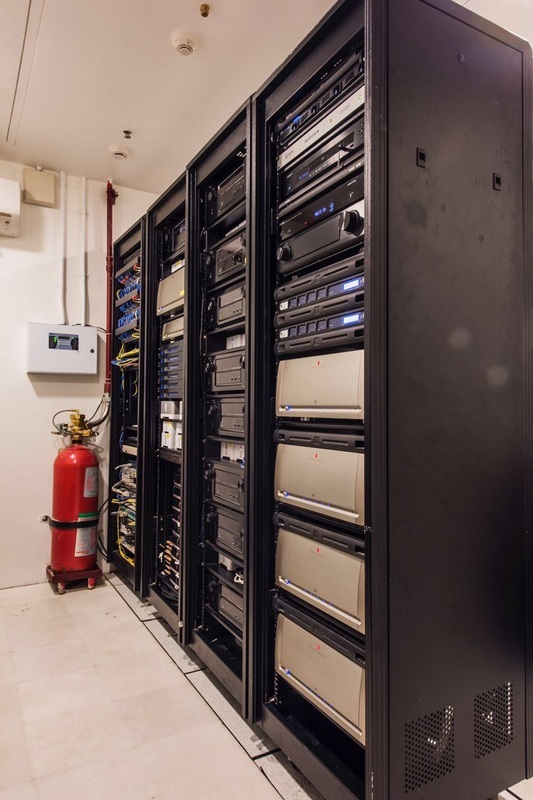 Have a look at this ONE rack room. Where do you even begin???? With the SIX-A Analyzer you can analyze and report HDMI Distribution over time. You choose minutes, hours, days, and you are testing down to the pixel. 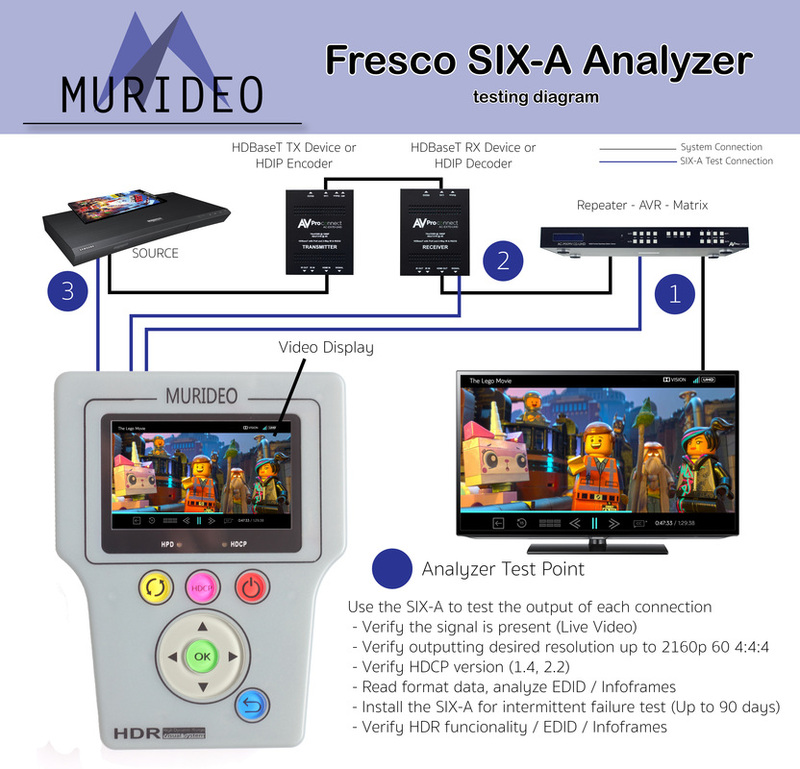 With the Murideo SIX-A Analyzer you can test HDR signals, metadata, infoframes, and 2-channel and multi-channel Audio Confidence Tests. As well as read and write EDID's with our Advanced EDID analysis and tools. Have you ever been dropped into a situation where you were called upon to get a system working that you didn't install? Or, have you ever been asked to troubleshoot a system that has been installed for a few years and recently you are getting complaints from the end user on system performance? How about the customer who wants to start upgrading to 4K but according to budget allocation can only do half of the classrooms this year? In any of the real world scenarios above the 6A saves time and money. Being a technician with over 30 years of experience (Military, IBM, Honeywell, Sencore) and a user of all kinds of test and measurement tools this cannot be understated. This is the very best tool available for Systems Integrators faced with today's challenges in point-to-point and distributed digital video (and audio) systems implementation, troubleshooting and commissioning. I like simple - over the years - and I am sure you know where I am coming from - simple is good. Step one in almost any troubleshooting scenario is determining what you are looking at - in our world - where are the HDMI sinks, sources and repeaters in the system? What technology(s) are being used to switch and distribute the signals? What does an overall sketch of the system look like (basic system diagram)? Once the basic system diagram is established it is easier to see failure points and visualize potential solutions for failed components. This is where the 6A comes into play - plug it in - to any HDMI transmitter in the system and immediately know 100% what you are dealing with - audio/video timing and pertinent information - plus a live view picture of the content coming (or not) through the system. A very basic system diagram for illustrating the process - now multiply this by 100 classrooms or expand the diagram for a sports bar with 16 sources and 75 displays. With the 6A you just cut your troubleshooting time in at least half and probably more. We've all been there before - it's called poke and hope, plug and play AKA - keep replacing stuff until the problem goes away. This is not cost effective and nine times out of ten you likely replaced stuff that wasn't broke. I would be remiss if I didn't mention that the we have also produced a top notch reference 4K 18 GBPS (4K60 4:4:4) DPL Labs approved test generator, the Murideo SIX-G. The 6G has been in the field for almost a year and over 1000 of you are using them on a regular basis. 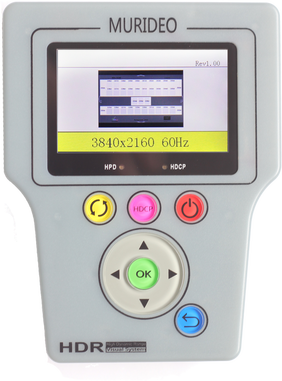 Many of you are using the 6G for advanced video calibration and panel matching or as a tool for signal injection troubleshooting, or both. When you pair the 6G with the 6A you now have a complete - end-to-end troubleshooting system! You can inject reference signals into any HDMI receiver with the SIX-G then analyze the same signal at every HDMI transmitter in the system. It's really that simple, and it's best to test a system that is working to get the hang of how things should work first. Now, with the touch of a few buttons turn HDCP 2.2 or 1.4 on or off, change formats, color space and bit depth, toggle HDR or inject a native 4K test pattern with the SIX-G and see what the system spits out at the other end with the 6A. In no time you can test every HDMI cable, balun, switcher, encoder or decoder in the system and identify any failure or low performing point in the system.